Skopje was the center of the digital Western Balkans! 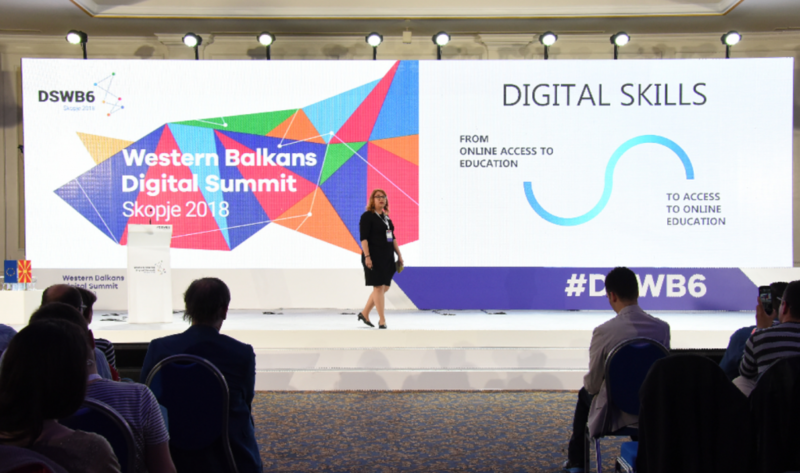 The Macedonian capital brought together representatives from governments, businesses, organizations, academia and youth to discuss the digital prospects and challenges at the very first regional Western Balkans Digital Summit that took place from 18-19 April. And among them – Mladiinfo International! 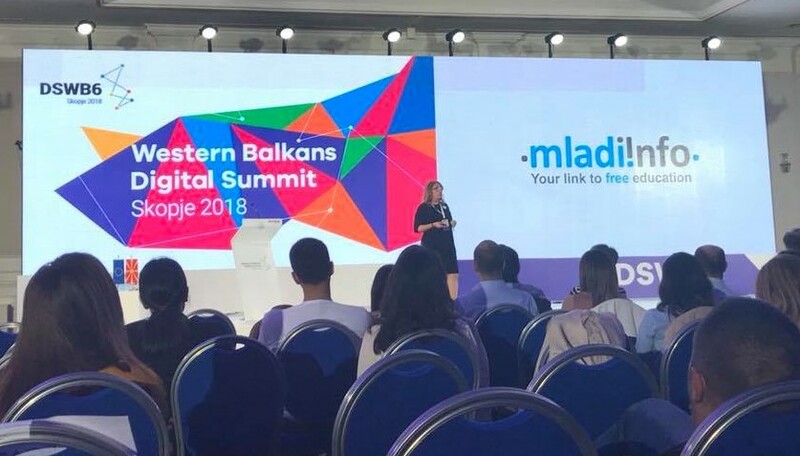 We are proud that Mladiinfo was part of this high-level event and that we had the opportunity to share our work and story, during the Digital Talks session on the first day of the summit. 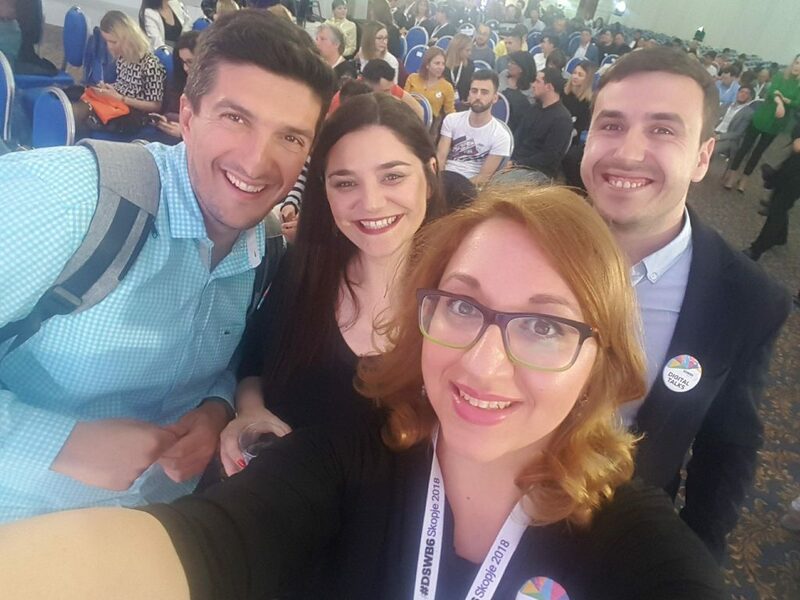 Nominated by RYCO, Mladiinfo amplified the voice of youngsters from Macedonia who were much more numerous in the audience than on the summit stages, and spoke how the digitalization is changing the lives of young people. Our Director of Program Development, Ana Alibegova, presented a story on how digitalization was shaping our lives in the past and how it does today, providing insights on possible future developments. Mladiinfo as a podium for self-reflection, critical thinking and empathy, which will inspire young people to be the best versions of themselves in the future. The digital life will cause significantly changes in both private and professional life and one third of the skills people have today, will not be as important in 5 years from now, researches show. Ana concluded her speech with a message to embrace digital learning and living by not forgetting the human dimension and always reflecting on the most important question: the big “WHY” we adapt and adopt all changes.